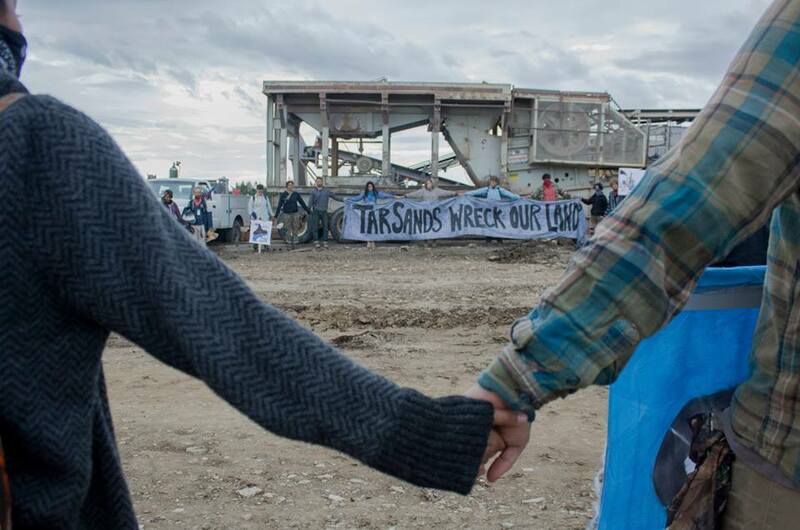 In May, tar sands resisters new and old gathered in the Book Cliffs of so-called Eastern Utah, at PR Springs, site of one of the first proposed tar sands mine in the United States. This gathering marked nearly three years of observation, law suits, and direct action against the project, and signaled the beginning of a permanent protest vigil inside the boundaries of public lands leased for strip mining. This permanent protest vigil provides interested people with an opportunity to tour an area slated for destruction and to participate in an experiential “field school” exploring topics such as direct action planning, consensus decision making, ecology, and public land management. If you have a couple free days this summer, consider coming up for one of the themed campouts or contact us (canyoncountryrisingtide@gmail.com) to find out how to find the campers any time. People at the one of the sites of extraction for tar sands in Utah, PR Spring. Join us for an intergenerational campout, bringing together families to protect future generations from the Utah tar sands. This is a unique opportunity to camp out in the scenic Book Cliffs of Eastern Utah with your family and friends and a group of people dedicated to climate justice. Fun and informative activities will be planned throughout the weekend for adults and children of various ages. 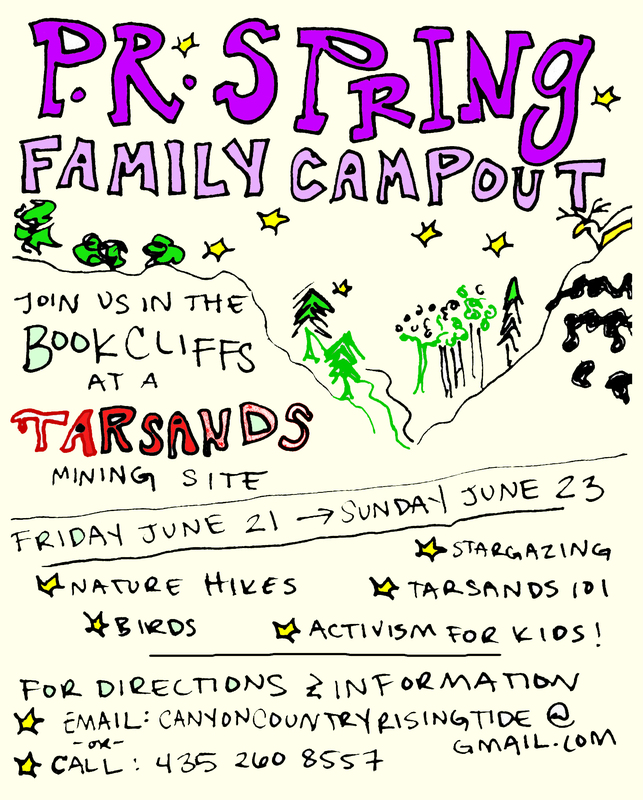 Last year a group of families converged at PR Springs, site of the first proposed tar sands mine in the United States. While there, everyone from a 2-year-old, pre-teens, and Grandparents spent time exploring the land with local organizers, hiking, bird watching, water-testing, and, most importantly, learning about US Oil Sands’ project, and witnessing the devastation already being wrought by their 9-acre test site. The School & Institutional Trust Lands Administration (SITLA), the State of Utah, and US Oil Sands would have us believe that the tar sands & oil shale projects moving forward in Eastern Utah are all for the benefit of the children. For, they would say, isn’t all the money from the Trust Lands being leased for extreme fossil fuel development going towards education? No. SITLA’s annual contribution to education accounts for less than 2 percent of the state’s $3 billion-plus education budget. With every parcel of stolen land leased for development and extraction, and every acre sacrificed, the more the land is devastated, the water put at risk and polluted, and the air filled with dust and toxins, the future of our children, and of future generations, becomes more and more bleak. The short term gains from destroying the Book Cliffs, and turning Colorado Plateau into a sacrifice zone, is not worth the future of our children. Come see what’s at risk. Come take a stand. This July, students and other young people throughout the Western region of the U.S. will be converging to halt one of the first tar sands extraction operation in the U.S., located in Utah, and we want you to be one of them! During the week, you will learn first-hand what’s at stake with tar sands development, cultivate a deeper analysis of existing power structures, and discover how you can be a catalyst in transitioning our energy system to a just and stable reality. The camp will culminate in direct action, and serve as a galvanizing platform for students and young people to build networks and leave equipped to take principled and concerted action on their campuses and in their communities. 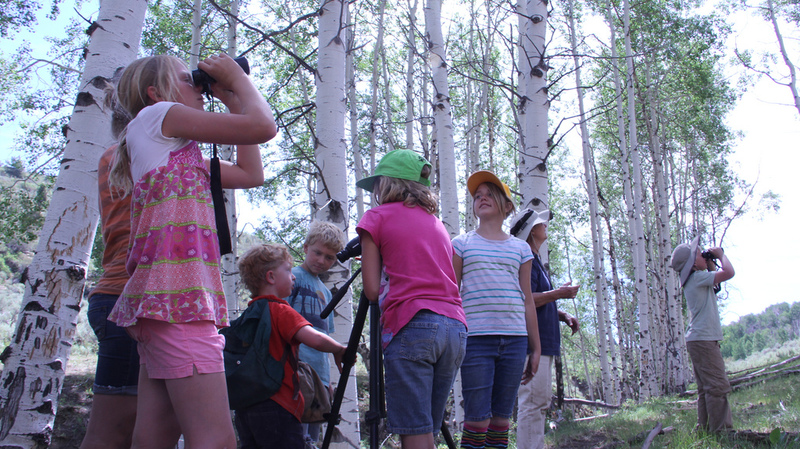 Camp curriculum will be taught by experienced organizers from the Western region, primarily from grassroots organizations, Peaceful Uprising, Utah Tar Sands Resistance, and CanyonCountry RisingTide. The camp curriculum and structure will honor a climate justice framework, viewing the climate crisis as the most widespread exacerbation of already-existing systems of exploitation, emphasizing the need to dismantle such systems, and delving into ways to do that. For more information, visit www.summerforclimatejustice.org. You must apply to attend. If you’re interested in volunteering to help make this event possible please contact Sarah at Canyoncountryrisingtide@gmail.com. We will need folks interested in participating in kitchen duties, logistics, travel coordination, food shopping, and set up. Please consider donating (money or time) to us to help make these events possible! Check out our calendar for other upcoming events. 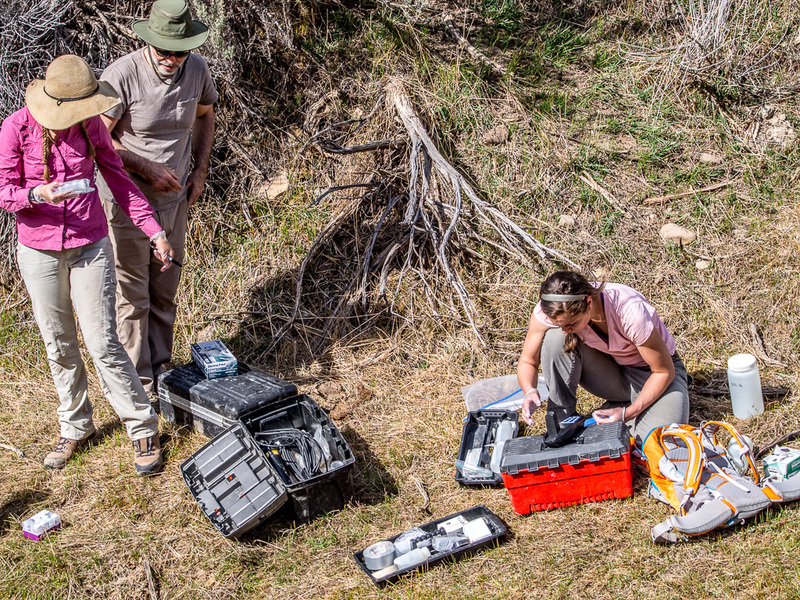 The April Science Campout was a resounding success. We found a new spring in the area, visited the ranch at the base of the strip mine, and were presented with the new study on ground water by a team of scientist from the University of Utah that will hopefully help in legislation to protect the ground water in that area for the Ranchers and river runners who rely on it. Thanks to the hundreds of people who showed up and to those of you who spoke to encourage the County Council to adopt a stronger alternative for protection of this area. The council will be accepting letters on the subject until May 2nd. Consider mentioning including protection of Forest Service wilderness (our aquifer), excluding the Book Cliffs highway connecting the tar sands mine to I-70 and a potential refinery in Green River, increasing the amount of wilderness protected in all the alternatives, and taking out the Antiquities Act exemption. Thanks! Utah’s approval of Emery Refining’s planned facility near Green River because it risked significant air pollution and violations of environmental law. In response to the appeal, Emery redesigned the facility, and on March 25, 2014, the state issued a new “Intent to Approve.” The state is now seeking public input in writing by May 2nd, and also conducting a public hearing in Green River on April 30th. Your voice is needed now! – Based on independent expert review, the state’s initial impact models underestimate the refinery’s greenhouse gas emissions. This new plan comes as Grand County officials are promoting an oil transportation corridor through Sego Canyon that would connect Green River to the oil, oil shale and tar sands deposits atop the Book Cliffs. Increasingly, the refinery appears to be part of a bigger scheme to industrialize Utah’s wildlands for high-carbon fossil fuel extraction. 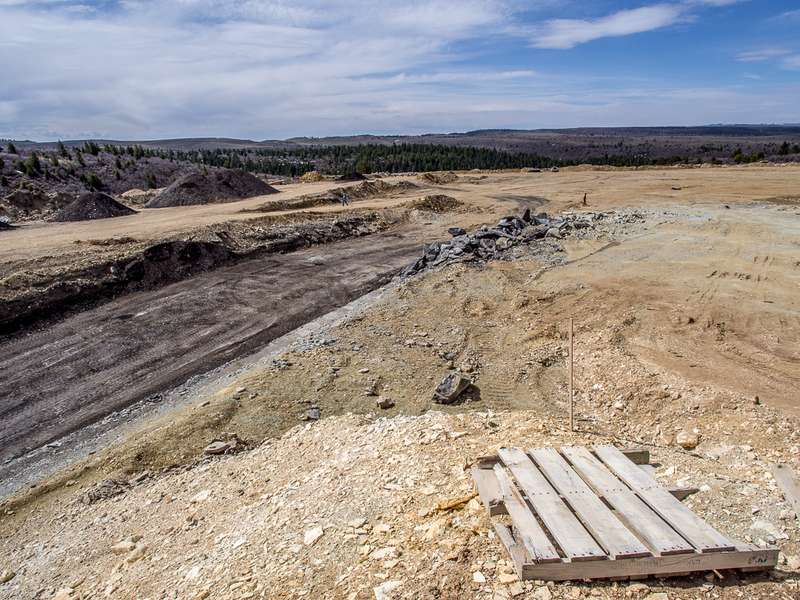 The PR Spring Tar Sands mine as of April 2014. The Beehive Design Collective Presents: ¡Mesoamérica Resiste! Come one! Come all! The Beehive Design Collective presents their new poster ¡Mesoamérica Resiste! The Beehive Design Collective is a wildly motivated, all volunteer, activist artist collective that has gained international attention for their collaboratively produced graphics campaigns focusing on globalization, resource extraction, and stories of resistance. “Mesoamérica Resiste” is their most recent project, a culmination of 9 years of story gathering in Mesoamérica, research, and illustration. The intricate, double-sided image documents resistance to the top-down development plans and mega-infrastructure projects that literally pave the way for resource extraction and free trade. It highlights stories of cross-border grassroots social movements and collective action, especially organizing led by Indigenous peoples. For more detailed information and images on this project we recommend checking out their website, youtube video and Facebook event. 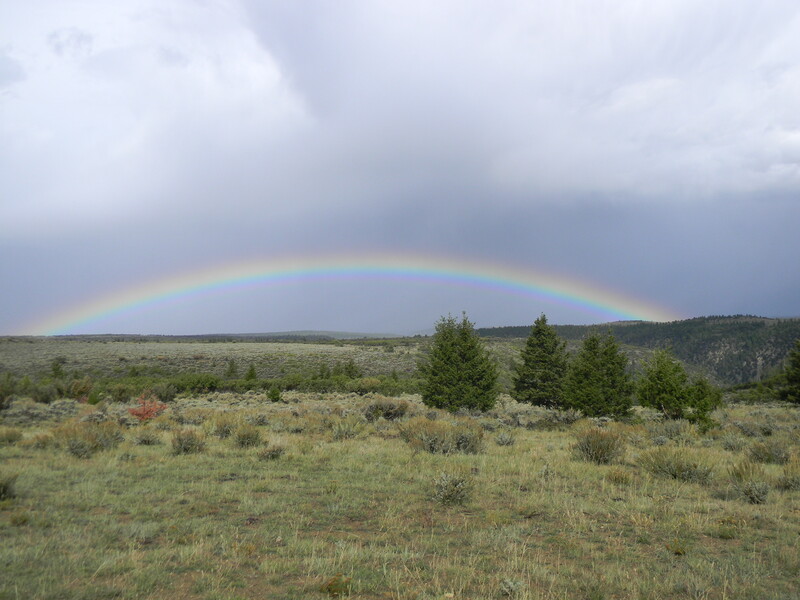 Why: Get to know this remote and beautiful area, learn more about the issue, see in person the work they’re already moving forward with to turn our home into an industrial extraction zone. *Community Kitchen with dinner and breakfast provided, bring your own lunch and snacks. Bring vegetables and skills to donate to the kitchen. 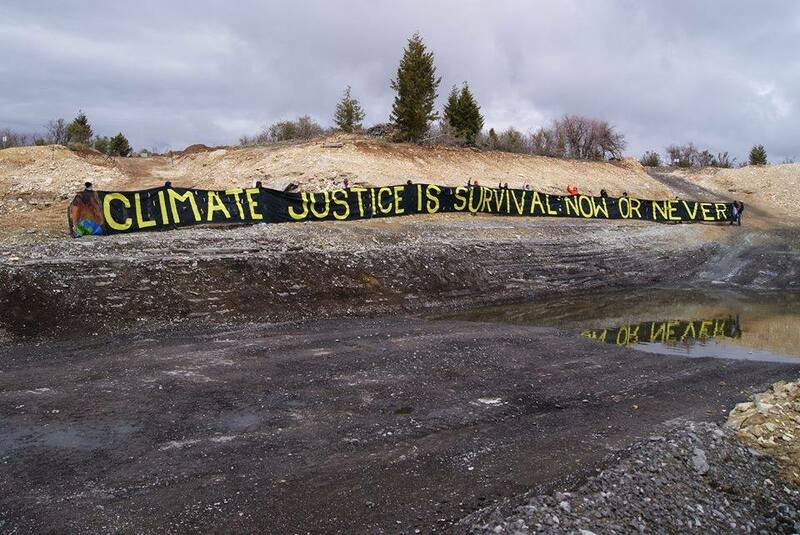 As the prospect of tar sands, oil shale, and other forms of extreme energy development threatens to wreak permanent havok on the health and wellbeing of Utah’s people and environment, grassroots organizations and community members from across the region are organizing to fight back. Large energy corporations from out of state are flocking to Utah in an attempt to convert our public lands into a vast testing ground for extremely high risk extraction technologies like tar sands and oil shale mining. The Canadian petroleum corporation US Oil Sands, Inc is targeting the remote state lands of eastern Utah to be the first tar sands mining project in the USA. If companies like US Oil Sands can prove that these types of dirty extraction operations are economically viable in Utah, then more tar sands and oil shale projects will spring up across the region. 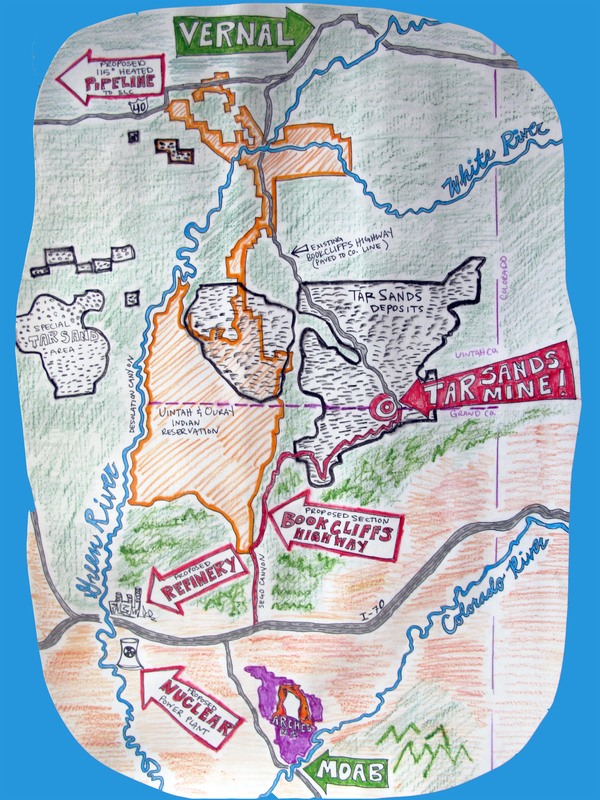 Conventional political and regulatory avenues for public opposition have been nearly exhausted, and the proposed mine at PR Spring, north of Moab, has been given the green-light from the state to begin commercial operations, it is now clear that this project can only be stopped by organizing and taking direct action together as impacted communities. Please join us late this July for a week of trainings, strategizing, and action to continue building the collective grassroots power we need to fight back against the corporate take-over of our public lands, our diminishing water resources, and our common wellbeing.